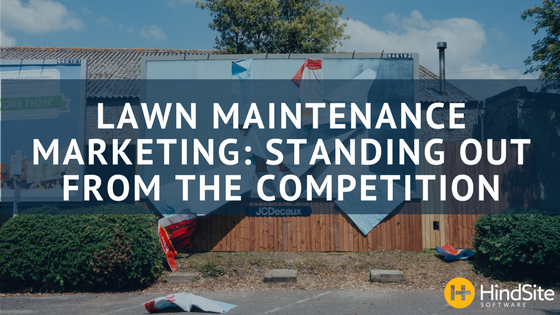 The offseason is a great time for your lawn maintenance business to review your marketing activities, your marketing strategy, and make a plan that can get things moving before business gets busy. When it comes to marketing it all starts with examining and defining two main things: Your Market and Your Differentiators. Great marketing starts with knowing who you’re selling to. Who’s the ideal customers? The people most likely to not only buy your services, but become great (ideal) customers with recurring revenue. In the mid-80s Coca-Cola changed their formula, calling it New Coke. It was well received in pre-release taste tests and focus groups - bettering both the original Coke formula as well as Pepsi’s formula. Coke executives thought they had a winner on their hands. They didn’t. Partially fed by a strong anti-New Coke campaign by Pepsi, the New Coke formulation fell flat. The market wasn’t demanding a new, sweeter, Coke. They just wanted the Coke they’d grown up with. By understanding your market, you understand the services (or in Coke’s case, product) that fits one of their needs or solves one of their problems. It also helps you determine, where and how you reach and interact with them. The where, refers to the media or medium that is the best way to reach your audience or have them find you. This could be anything from direct mail and billboards to social media and your website. The how, refers to your message. Just like everyday interactions, your marketing should talk to potential customers the way they want to be talk to. This isn’t exactly easy to pin down, so don’t be afraid to use some trial and error to find your most effective messaging. If you are unable to focus on who you’re trying to sell your services to, you’ll be ineffective. And you’ll be unable to effectively communicate because you don’t speak their language. Remember in grade school when everyone told you that you were special just the way you were? Now that you’ve figured out your market, it’s time to determine what makes you special. This also helps you form effective messaging for your marketing. One way to start is by polling your best customers. Ask why they chose you and why they continue to send business your way. Start creating a list of the common responses you’re seeing. This can be difficult and time-consuming to do, depending on your industry, but the results can really help you pinpoint exactly what your buyers want from a service provider. A market survey is a great tactic to try in the offseason. Once you have a better foundation and understanding of what separates you from your competition, you can begin crafting two or three statements that clearly defines what makes your business unique. Creating differentiation statements isn’t easy. How can you differentiate something like caring for a lawn? What you’re really doing is making landscapes beautiful. So, think of ways you do that better or more efficiently than the competition. Do you have better knowledge of the optimal time to seed or treat their lawn? Reliability is also important – are you going to mow when you say you’re going to mow? Do you have on-time metrics you can leverage? What about mulch? Is there a specific brand that holds its color longer and will please your customer more than your competitor’s mulch? Ultimately, you’ll want to know a little bit about your local competition when you create your differentiators. If you all have the same messaging, there is no differentiation. So, do some research in the offseason to understand how your competitors position their businesses.